Patsy Terry was born and raised in Cleburne, Texas, and still resides there. While growing up in Texas, Patsy enjoyed many wins competing in the arena. 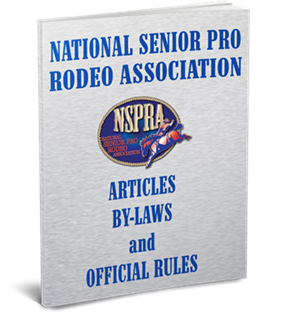 As an adult, Patsy joined the NSPRA and was a strong competitor in the Ribbon Roping, winning the Reserve World title twice. In addition to her successes in the arena, Patsy demonstrated the extent of her skills and personality when she took on the task of coordinating the Fashion Show at the Senior National Finals in Reno, Nevada. With incredible energy and foresight, she took a function at the SNFR and made it the “hottest ticket in town”. She not only put on the Fashion Show, but held a benefit auction that has raised tens of thousands of dollars for the NSPRA during her tenure of coordinating the event. This money went to the Cowboy Crisis Fund and to the purse money of the SNFR. Patsy’s success with the Fashion Show and Auction helped sponsors and other important people to realize the impact of the NSPRA on the town of Reno. Patsy’s knack for creative themes and decorations and for enlisting the help of the right “key” people was “magic”! Patsy coordinated the Fashion Show and Auction for six years, and her event grew bigger and better every year. This creative pathfinder’s shoes will be hard to fill as she has raised more money for the NSPRA than any other single fundraiser. Patsy Terry is an “original” and truly will never be replaced!